Home Inspection, Vancouver WA – Nonprofit Home Inspections has four licensed home inspectors in Washington that provide outstanding home inspection services including whole home inspections, structural pest inspections, radon testing, sewer scopes, mold testing and more. As a nonprofit 501(c)(3) organization, our certified home inspectors only have your best interests in mind and can provide you with an unbiased analysis of your new home. 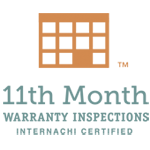 Our Vancouver, WA home inspectors perform Washington State home inspections that meet and surpass the Washington State Standards of Practice for Home Inspectors. Nonprofit Home Inspections offers home inspection services in Southwest Washington (specifically Clark and Skamania counties) within 25 miles of our Vancouver office (5501 NE 109th Ct, Ste F, Vancouver, Washington 98662). This includes Vancouver, Camas, Orchards, Salmon Creek, Washougal, Battle Ground, Hockinson, and Ridgefield, and surrounding communities. You can see all availability and schedule a home inspection on our website anytime 24/7. 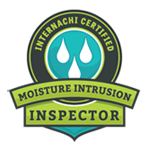 When looking for a home inspection in Vancouver, Washington, it’s critical to select a home inspector who also has a Structural Pest Inspector license from the Washington Department of Agriculture. If they don’t have this additional license, you may be required to hire another inspector to conduct a Structural Pest Inspection for some bank and government loans. 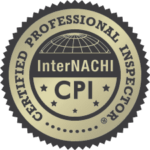 All of our licensed home inspectors in Vancouver, Washington are also licensed Structural Pest Inspectors. To avoid the cost and headaches that accompany scheduling an additional inspector to review a structural pest issue, we can provide you this inspection at the same time as your standard inspection. 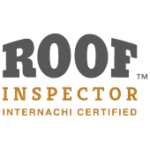 It is critical to find a home inspector who has this additional licensing since home inspectors in Washington are not allowed to comment on wood destroying organisms unless they are also licensed Structural Pest Inspectors. There are a number of different home inspection companies in Vancouver, Washington from which to choose. Nonprofit Home Inspections’ inspectors have distinguished themselves as outstanding Vancouver, WA home inspectors by providing very detailed, thorough home inspections for our clients. As a nonprofit organization that does not solicit work from real estate agents, our only goal is to give you as much information about your home as possible. We believe that knowledge is power and we strive to give our clients very thorough, detailed reports that are easy to read. As a nonprofit home inspection organization, we put the well being of our clients first. All our business comes from referrals and positive reviews from our clients — we have never once paid for an advertisement for our services. 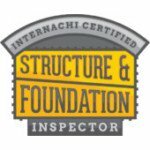 In addition to providing outstanding home inspections in Vancouver, Washington and surrounding communities, Nonprofit Home Inspections is licensed by the State of Washington to run a Washington Home Inspector Training program designed to teach students how to be great inspectors in their own right. 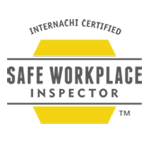 This Washington home inspector training program helps our nonprofit expand its efforts by empowering like minded individuals to raise the bar in home inspection services. In addition to preparing students to pass the Washington state home inspector licensing exam, Nonprofit Home Inspections introduces students to advanced home inspection technology including thermal imaging, mold testing, radon testing, sewer scopes and more. 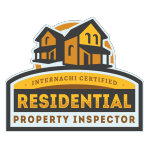 This comprehensive introduction to the home inspection field has already resulted in a number of individuals starting up and running their own very successful home inspection companies in Vancouver, WA and surrounding communities. Nonprofit Home Inspections offers reasonably priced, high quality home inspections in Vancouver, WA. In addition, Nonprofit Home Inspections donates home inspection services for free to other nonprofit 501(c)(3) organizations that help low income populations. We also provide all of our home inspection services on a sliding scale so that everyone in our community can afford to have their own top notch home inspections. Please find out more about home inspection costs in Vancouver by visiting our home inspection pricing page. 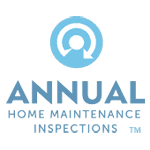 When you are ready, you can see all upcoming availability for our Vancouver WA home inspectors and schedule your home inspection online. Experienced, mission driven home inspectors providing extremely detailed and useful home inspections. Professional testing to determine if your home has elevated levels of radon, the number one cause of lung cancer for non-smokers. Our tamper resistant radon equipment follows EPA guidelines to help determine if your home has elevated levels of radon. Unbiased mold testing and independent laboratory results to determine if you have a mold problem. 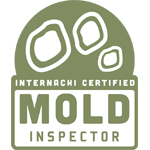 Our certified mold inspectors follow strict standards of practice and use an accredited laboratory to conduct mold testing. 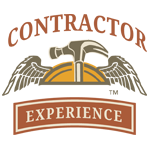 Licensed inspectors to determine if your sewer line needs expensive repairs prior to purchase. We only do inspections and will not bid on sewer repairs. 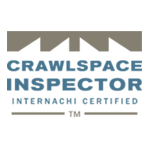 Trust our licensed home inspectors for unbiased results. Nonprofit Home Inspections offers Vancouver home inspection services in Vancouver, Washington and the surrounding areas. Established in 1825 and incorporated in 1857, Vancouver is the fourth largest city in the state of Washington. With a population of 170,400, it is the largest city in Clark county, the oldest and fastest growing county in the state. With this rapidly growing population comes the need for housing. However, buying a house is one of the largest purchases a family makes in a lifetime and our home inspectors are here to help make that process easier and more successful. Repairing a sewer line can be one of the most expensive parts of a home to fix and can cost $20,000 or more to repair. 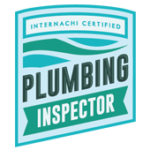 Our licensed home inspectors are trained to identify significant defects in the sewer line so that you can negotiate repairs prior to purchase. 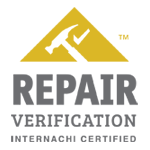 Because we are an inspection only company, we will not pressure you into very expensive repairs for minor issues. Having an unbiased sewer scope conducted by our nonprofit inspectors is a great way to determine if there is an actual problem with your sewer line or not while avoiding potentially deal breaking high pressure tactics from sewer contractors. Radon is a naturally occurring radioactive gas that is the leading cause of lung cancer for non-smokers and is responsible for 15,000 – 22,000 deaths each year. Because the Vancouver, Washington metro area has been identified as having elevated levels of radon, radon testing is an important part of maintaining a safe home environment for you and your family. 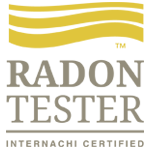 Our Washington home inspectors use professional grade continuous radon monitors that test up to EPA standards. Radon detectors are left onsite for 48 hours in “closed home conditions,” meaning normal exit and entry, but no windows or doors left wide open. We then retrieve the equipment and process test results immediately. Radon mitigation is relatively easy once you know there is a problem, but identifying elevated levels of radon is the first step in preventing harmful levels of radon in your home. 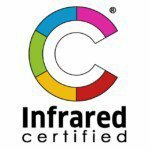 All of our Vancouver, WA home inspections are conducted using thermal imaging and infrared cameras. While many home inspection companies in Vancouver, WA charge extra for this service because the equipment and training are expensive, we have found thermal imaging to be such a valuable tool that we include it with all of our home inspections in Vancouver. Thermal imaging cameras does not give our home inspectors X-ray vision, but it does allow us to help better identify significant potential problems with the home including roof leaks, overheating electrical components, missing insulation and other defects that can affect the safety and functionality of your new home. In addition to inspecting the home’s structural integrity concerning the roofing systems, we also examine the roofing system for their materials, modern (best) building practices, gutters, flashing, ventilation, trim, chimney’s and other roofing penetrations. During an attic inspection we will analyze the space for water intrusion, visible insulation, proper ventilation, structural integrity, and the electrical systems. Nonprofit Home Inspectors will carefully examine your water pipes, fixtures, functional water flows, exterior hose bibs, bath tubs, shower stalls, sump pumps, water heating equipment, drain systems, and proper ventilation systems. 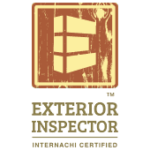 Your interior Vancouver home will be thoroughly inspected during the interior inspection. This will include floors, walls, windows ceilings, stairs, railings, counters, cabinets, smoke detectors and carbon monoxide detectors. We will also use thermal imaging to help get another look at these systems for a non-invasive perspective. An exterior inspection of your house will include your house’s wall siding, flashing, trim, doors, windows, lintels, vents, garage doors, attached decks, porches, balconies, steps, eaves, soffits, and fascia boards. We will also examine the grading and vegetation around your home is more protected from water runoff or wood destroying organisms. During our certified heating and cooling inspection, Nonprofit Home Inspectors will examine the furnaces, air conditioners, duct work, wood stoves, gas or wood burning fireplaces, fans, chimneys, flues and proper ventilation. 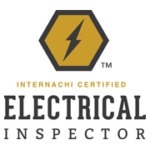 When inspecting the electrical system, we look closely at the service panel, breakers, fuses, service entrance conductors, clearance, switches, outlets, GFCI, AFCI, fans, and lighting fixtures. The foundation, crawlspace and basements are one of the most vulnerable and overlooked places in your home. That is why our Vancouver home inspectors look for issues that will impact the structure, proper ventilation, vapor barriers, columns, posts, floors, and walls. 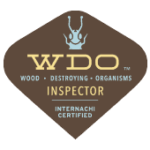 Our inspectors are licensed Washington wood destroying organism inspectors so we can report pests and dry rot problems. 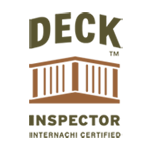 We will inspect any deck that is attached and ensure that they are examined for proper baluster spacing, structural issues, stair or step placements, wood to ground contact, and any other safety issues. 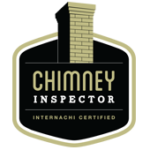 When inspecting fireplaces and wood stoves they should be properly installed with the use of an operational damper, inspected for water intrusion, hearth requirements, and for any other safety mechanisms present. 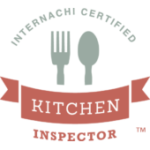 Our inspectors will examine installed dishwashers, ranges, ovens, trash compactors, garbage disposals, range hoods, refrigerators, and any other built in kitchen appliances that will be staying with the house. 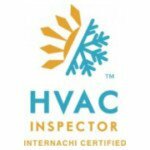 How long does it take to do a Vancouver home inspection? Our Vancouver home inspectors will usually spend 2.5 – 3.5 hours inspecting your home. We want to give you as much information as possible so that you can make an informed buying decision. Can I hire Nonprofit Home Inspections to fix problems you find during our home inspection? No. Nonprofit Home Inspections does not believe it is ethical for a company to find and then offer to fix expensive repairs. By serving as an inspection only company (including sewer scopes, mold testing, and more) we are able to let you know if you have a problem without any financial incentive for making a mountain out of a mole hill. Nonprofit Home Inspections will email you the inspection report the same day as your inspection. What locations do you serve in Vancouver, Washington? We provide home inspections for the greater Vancouver, Washington area (within 25 miles of our headquarters in Vancouver). How much will your Vancouver home inspections cost and are they different from a Portland home inspection? Our prices for Vancouver home inspections are the same as Portland home inspections. For more information, please see our home inspection pricing page. Do I have to be buying a house in Vancouver to receive a home inspection? Absolutely not. We offer anyone who wants their home in Vancouver to be inspected. You do not need to be buying to have a home inspection. Anyone who wants one is welcome to schedule a home inspection. If you have concerns or want to know if your house is in tip top shape it is a perfect way to find out what could be wrong. How can I become a Vancouver home inspector? Nonprofit Home Inspections is licensed to offer home inspector training for both Oregon and Washington. 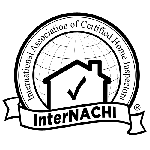 Check out our Washington Home Inspector Training page to learn more!